April is a month of blessings and challenges. Much was unearthed during the Mercury retrograde and now it’s time to work with the debris that is left on the surface after the tides have receded. Three planets go retrograde, and we move into a firm commitment with Spring. April 2 begins on a dreamy note with the Moon in Pisces conjunct Venus in the sign of her exaltation. Venus loves to be in this water sign where she can connect and express freely. We have a sense of being all one; a small but integral part of this glorious human family. The good times are strong with the ruler of Pisces, Jupiter, in his home sign of Sagittarius. The entrance of Venus into Pisces on March 26, gave us some sweet relief at the end of a trying Mercury retrograde. On April 2, Mercury conjoins Neptune for the final time, weaving in some final threads to the retrograde lessons. Mercury retrograde in Pisces was one of the defining features of March (5-28). Pisces is the ocean and the outer planet Neptune is God of those waters. Many of us felt like we were being pulled under, and we weren’t sure if we’d re-emerge or where. Mercury retrogrades are periods of reflection, revision, and reordering; but Mercury is the trickster God. The journeyer who guides us through the subconscious, so these processes are non-linear. In ordinary life, we’re focused on details and progress, but Mercury retrograde brings our awareness into the larger whole by slowing us down and tripping us up. If we don’t take ourselves too seriously, and we shouldn’t, we can enjoy the surreal experience of time melting a little. If we remain attached to the status quo and doing things the “right” way, these trimester sojourns can make us quite miserable. The experience of Mercury in Pisces has been a long one. Mercury entered on February 10 and glided into a conjunction with Neptune on February 19. Depending on your inclination, this was like your mind being submerged in the dreamy, cosmic womb of the divine mother or the scary, psychedelic waters of the River Styx (some of us got both). Mercury moved to the last degree of Pisces, and stationed retrograde on March 5. From there, they began to move backwards through the sky, retracing their steps, but with a bit of mischief in their heart. On March 24, Mercury moved into their second conjunction with Neptune, and hung out there as they prepared to station direct on March 28. Mercury slowly began moving forward again, and will encounter Neptune for the final time on April 2. Generally, Mercury retrogrades are times when conversations are continued and information is added. We’re shown where there are leaks in our boat and directions we could head that were hidden to us before. This Mercury retrograde has been an intense one for many of us. Personally, I had my laptop screen crack (the second time that’s happened in a Mercury retrograde since I started doing astrology–ha ha), and of course there were the typical technical errors, typos, delayed transactions, and confused details. Most significantly, old narratives of a difficult emotional nature resurfaced in our collective psyche. Mercury will remain in Pisces until April 17. Mysteries have been unveiled and changes have occurred, but it will take awhile to assimilate and embody this long strange trip. I’d love to hear how it went for you so drop me a line and tell me your retrograde story. Mars broke free from stubborn Taurus and entered the freebird sign of Gemini on March 31. On April 3, he will sextile Chiron who’s begun moving through Mars’ home of Aries. The energy of Chiron in Aries is new, but the healing he’s bringing is long overdue. Aries is the sign of the warrior. The one who desires to demonstrate valor and courage, but who would rather go it alone and risk death, than compromise their ego and admit vulnerability. Chiron has come to treat both the symptoms and root cause of this patriarchal mindset. Collectively, we’re moving away from the ancient pattern of achieving security through dominance-over others, towards a model of power-with people. The Moon is with Chiron at the sextile, moving towards the Sun, so the energy of this transit is carried forward to the Aries New Moon. Pluto is conjunct the South Node on April 4, which is also heavily influencing this Moon. Pluto is the God of the Underworld; creator and destroyer. He breaks things down so he can build them back up again. The cycle of death, decay, and rebirth are under his purview. Pluto transits often force us to change, transform, or take control of something that has gotten out of hand in our lives. Like the gorgeous and formidable Indian Goddess, Kali, he restores balance through decimation and regeneration. The South Node of the Moon, known as Ketu in Vedic astrology, is a place of fear and loss. It is a karmic position of attachment where we’ve brought in energy from past lives. April is a unique month because both Pluto and Saturn are conjunct with the South Node, which hasn’t happened since January 1985, when they all met in Scorpio. The combination of these planets in Capricorn means that we won’t be able to effort our way out of this configuration; although hard work will be required. In April, change may occur that is out of our control, and we won’t be able to alter the course. We’ll see and feel where we’re restricted, and though we might want to fight like hell, it’d be better to go slack and simply slide out of the bonds (like how they teach you in self-defense class). 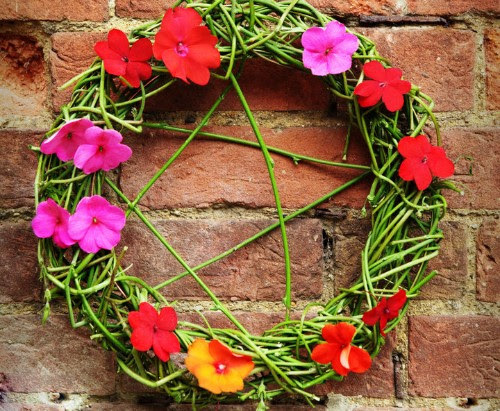 Adorn your altar with red candles, spring flowers, and anything with rams or horns. Ground into Gaia, cast your circle, call in your deities and supports, and take a moment to consider where you are right now. Give thanks for what you’re grateful for, and be sure to include yourself for creating time for magic in your life. Look at the topics ruled by Aries and Capricorn in your astrological chart (if you don’t know you can email me ahead of time). Do a meditation or visualization on how those areas feel. Are they connected? How? Spend some time checking in with yourself, and then consider what you’d like them to to look like. How could they be harmonized and optimized? Ask the Divine to show you what ego patterns or belief systems are holding you back from being truly free or in your power. This is less about getting material things that you want and more about transforming how we relate to these concepts so there’s more grace and ease. It does not have to be a long meditation or visioning, ideally 10-15 minutes but whatever feels right to you is best. When you’re done, write about what you saw or heard in your journal. Pay extra attention to the emotional qualities that arose or that you’d like to cultivate. If you’ve gotten an indication of something that’s ready to go or be surrendered, write it down on a piece of paper, and make an offering of that thing to whatever form of the divine you connect with (could be a formless one). Then burn the paper in your cauldron or other fireproof container of your choosing. If nothing came, no problem. The important part is that you brought your awareness to reside in the connection. More will always be revealed. The second week of April brings closure around the Mercury retrograde process. Slowly moving forward, Mercury begins sorting through the debris. Venus goes over the chaotic waters with her magic wand, but even the goddess may get confused here. The week of April 7, Mercury sextiles Saturn, the South Node, and then Pluto. On April 10, Venus conjoins Neptune, clouding our perception of the emotional truth. Don’t believe everything you feel because with the Sun square Saturn things might feel worse than they are. The Sun is in angular configuration to the planets it conjoined in January. You may reflect on where you were at the start of the new year and what has changed over the last month. The reapings of winter may be apparent now or you may be given a clue about the next step on your path. Jupiter stations retrograde on April 10, and will be backtracking until September 13. We’ve been blessed with his gifts and abundance, but that flow may be slightly constricted as he retraces his steps over the next five months. This is an excellent time to consider what you’ve expanded into since he entered Sagittarius in November 2018. The Sag part of your chart has been stretched. You’ve been challenged to grow, and now we ponder the why and the how. Jupiter rules teachers and attorneys. He facilitates learning and justice, and he’s powerful. If we take this time to consider our individual responsibility, when Jupiter stations direct in the fall we’ll begin moving forward with greater wisdom. The week of April 15 starts out on a lively note when Venus in Pisces squares Jupiter. Both are in places where they like to party so you may be tempted to take a personal day and enjoy some fun in the sun. If there’s no negative consequences then let yourself enjoy, but beware that the Moon in Virgo won’t like it if you shirk your responsibility. On April 17, the entire world rejoices because Mercury moves into Aries just in time for the Libra Full Moon on April 19. I haven’t felt this glad since Mars left Aquarius last year. Enough is enough of the watery slog. The cardinal fire does a good job drying Mercury out, and they are in position with Chiron for the Libra Full Moon. This is the second Libra Full Moon of Aries season. 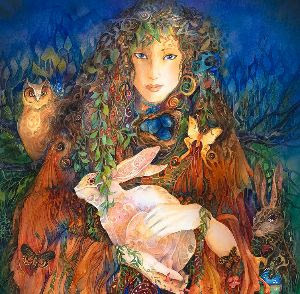 The first occurred on the Ostara, the Vernal Equinox, when the Sun was at 00 degrees. The second occurs the day before the Sun enters Taurus at the 29 degree of Aries. What a bookend. What balance. With Mercury so close to Chiron, our minds are fully immersed in the wound that lingers here. The Sun is close to Eris, so we may feel the way in which our pain keeps us feeling separate and apart. This is a great day to purify through fire. Steam baths or saunas are a nice ritual to open up the pathways and get the toxins out. Time starts to speed up when we enter the solar time of the year. Reflect on how much has grown in just a month with the increase of light and heat. On April 20, the Sun enters Taurus and Venus enters Aries. They can’t see each other, but they can feel one another because he’s in her sign and she’s in the sign of his exaltation. Taurus season is an earthy sensual time when we make real on the promise that burst forth at the equinox. The sign of the bull likes to buckle down, work hard, and revel in life’s natural rhythms. Taurus is tuned in the body’s clock and won’t rush for anyone. Venus in Aries adds some heat to our relationships, so even with the Sun getting grounded, our passions will be running high. Things aren’t all placid in Taurus country because the Sun immediately encounters Uranus on April 22, and Venus meets Chiron on April 23. We may seek a heightened sense of freedom and autonomy that week, and long to walk down the road less traveled. The meeting of Venus in Chiron could have us running from our wounds, but don’t gallop off into the sunset too quickly. Give yourself a couple weeks and see if the inspiration lasts before buying your tickets. The intense Saturn-Pluto energy this month culminates at the end when Pluto stations retrograde on April 24, and Saturn does the same, conjunct the South Node, on April 29. These two are dangerously close to one another, activating the archetypal principal of power and control. Pluto empowers and intensifies Saturn’s impulse towards reaction and constriction. Together they believe might makes right, and advocate punishment for our own good. This configuration has implications for the United States of America in particular. The USA is a Cancer Sun, Aquarius Moon, and Sagittarius rising, and is going through it’s Pluto return, which only happens every 250 years (Pluto was in Capricorn on July 4, 1776). Saturn and the South Node are impacting the USA’s Pluto return, and many speculate what new rebellion against tyranny will be launched. Check the news to see how these elements play out in the collective through stories of religious fundamentalism, political conservatism, repressive violence, religious intolerance, and anti-environmental policies. Fear mongers may attempt to increase conformity and xenophobia through scare tactics. Over the next two years, we may see an increased attack on freedom of speech, religion, culture, and sexuality. With Uranus in Taurus, Gaia will certainly be fighting back against polluters, but they will still continue to try and exploit her. Let us all do our part by continuing to show up for the causes we hold most dear. All of us are essential; now more than ever. P.S. The birth time of Representative Alexandria Ocasio-Cortez was recently released and she is a Libra Sun, Aries Moon, and Sagittarius rising with Venus on her ascendent. 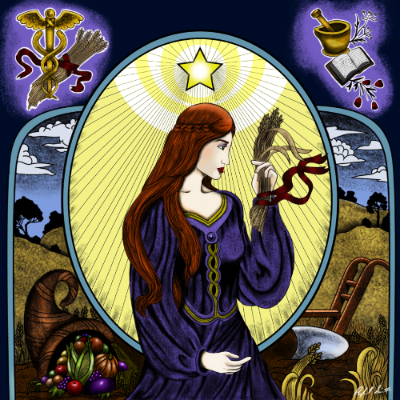 Check out this article to read about the synastry of her chart with the USAs, and why astrologers predict she could be the first woman president. Proudly powered by WordPress Theme: Gillian.